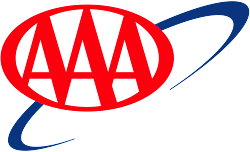 One of Rhode Island’s longest tenured road service providers for AAA, established in 1954, our road service headquarters is conveniently located on Providence’s east side minutes away from interstates 95 and 195. Our friendly and professional staff are knowledgeable road service technicians that are wreckmaster certified in road service, towing, and recovery services and can handle all your local and long distance towing needs. For any inquiries please contact of Road Service Manager, Ray Mucci, at 401-421-9100 or 401-744-7960 or by email at towing@eastsideenterprise.com. Copyright © 2014-2019 East Side Auto Sales & Collision Center RI & Colbea Enterprise, LLC. East Side Enterprises Cranston Rhode Island Auto Service Collision Center Car Sales RI Providence. Simple theme. Powered by Blogger.